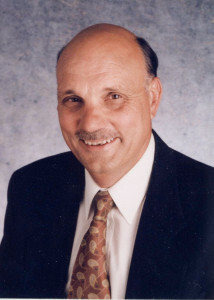 Michael Kirst, professor emeritus of education and business administration at Stanford, currently serves as the President of the California State Board of Education. As president, Kirst has played an influential role in California public schools’ transition to the Common Core State Standards (CCSS), which was implemented at the beginning of this school year. The CCSS aims to align diverse state curricula to a consistent, clear set of standards nationwide that students are expected to learn. Forty-five states, the District of Columbia, four territories and the Department of Defense Education Activity have already independently adopted the standards. Kirst sat down with The Daily to reflect on the CCSS implementation process in California so far. The Stanford Daily (TSD): Why were the [state] standards changed to the Common Core State Standards? Michael Kirst (MK): Our feeling was that the standards in the past had improved education. They helped improve the system, but we needed two things. One was that, with very different standards in each state and a lot of movement across states, there was a need for something common. The second thing was that the standards needed to be fewer, deeper and higher. TSD: What do you mean by fewer, deeper and higher? MK: Fewer means that there needs to be fewer focused topics. Take math for an example. Before the Common Core, math had too many topics. There was not enough focus on them because there were a lot of repeated topics and bad sequencing. But Common Core focuses on important topics relevant to the real world. Deeper means that students need to evaluate, interpret and estimate. Too much of what we did was read something and recall it. Students gave opinions but did not refer to sources. There was nothing to get a student to go deeper. Common Core assessments now encourage students to go further. And higher. Prior standards for K-12 weren’t aligned or endorsed by post-secondary education. We had a disconnect there. Common Core standards now provide assessments to see whether students are ready for post-secondary education without remediation. This has never happened before. For K-12, we were on our own, but now we are working with higher education. TSD: What will the broader impacts of these new standards be? MK: The first major impact is that the number of students who are judged proficient or college ready will be smaller than those deemed ready from the current tests. Proficiency percentages will drop because we are raising the bar. Another effect will be that students will know whether they’re ready for a post-secondary technical program or a four-year college program. Many students come into community colleges and realize that they’re not ready for college. Then, they have to go through remedial education. But with Common Core, students will get much clearer signals on what path to take. TSD: Describe the implementation process so far. MK: It’s going to take a long time. It won’t be over in a year or two because we’ve made an enormous amount of state policy in California and changed our assessments. We have adopted new textbooks, digital materials and lesson units. We have better teacher preparation programs and will be providing more professional development. Assessments will now include computer-adaptive assessment, not bubble testing or multiple choice. We are moving to testing with extended responses and performance exams to evaluate various responses from students. We also built better partnerships with post-secondary education institutes. This changes almost everything. TSD: What are some of the challenges in the implementation process? MK: There are 310,000 teachers in California, and the biggest challenge is to get all those teachers to teach deeper, higher and more focused than in the past. Getting the teachers ready will be the largest task. TSD: How will CCSS better prepare students for the real world? MK: We believe most people growing up in the 21st century need some education beyond high school, at least some form of post-secondary education. This current economy is different than in the past. Students need to think to solve problems and put together evidence to come to conclusions. They need to apply what they learn, which is why Common Core is important. Contact Sri Muppidi at srim13 ‘at’ stanford.edu.